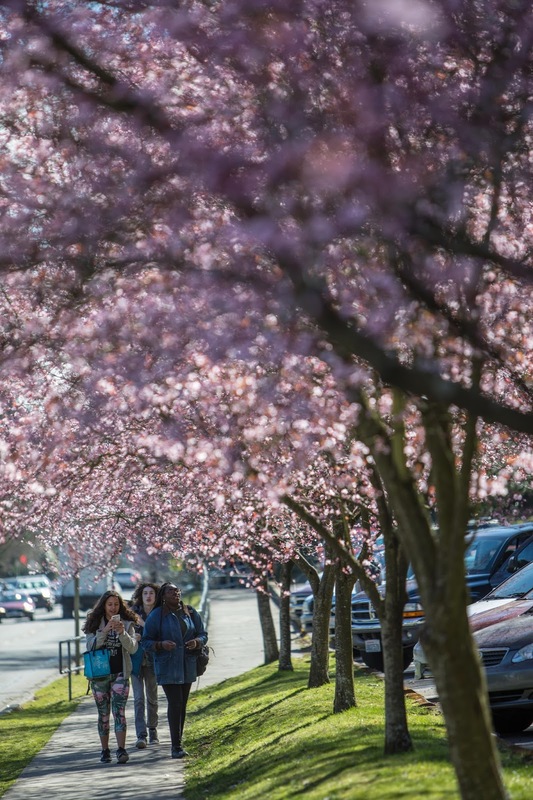 I'm not sure where they came from but there are several streets in Shoreline with rows of flowering plum trees. 25th NE, along Shorecrest High School and Kellogg Middle School, is one of those streets. The trees are unremarkable during most of the year. Then they break out in flamboyant pink-purple blooms in the early spring, demanding attention. Thanks to Bettelinn Brown: The plum trees were bought by the Briarcrest Neighborhood Association for $3600 in 2000, with the help of a City of Shoreline Neighborhood mini-grant. This set of trees was planted some time ago by members of the Briarcrest Neighborhood Association, with the support of a city mini-grant.